Adam Hall and his Aberdeen IronBirds teammates finished up their season with a 5-3 win over the Staten Island Yankees. Nick Horvath's homer highlighted the offense, Hall continued a hit streak and Aberdeen ended up topping Staten Island in the season finale. Hall had 4 At Bats, scoring 1 Run off 2 Hits, he also had 1RBI, a Walk and a Strike Out. 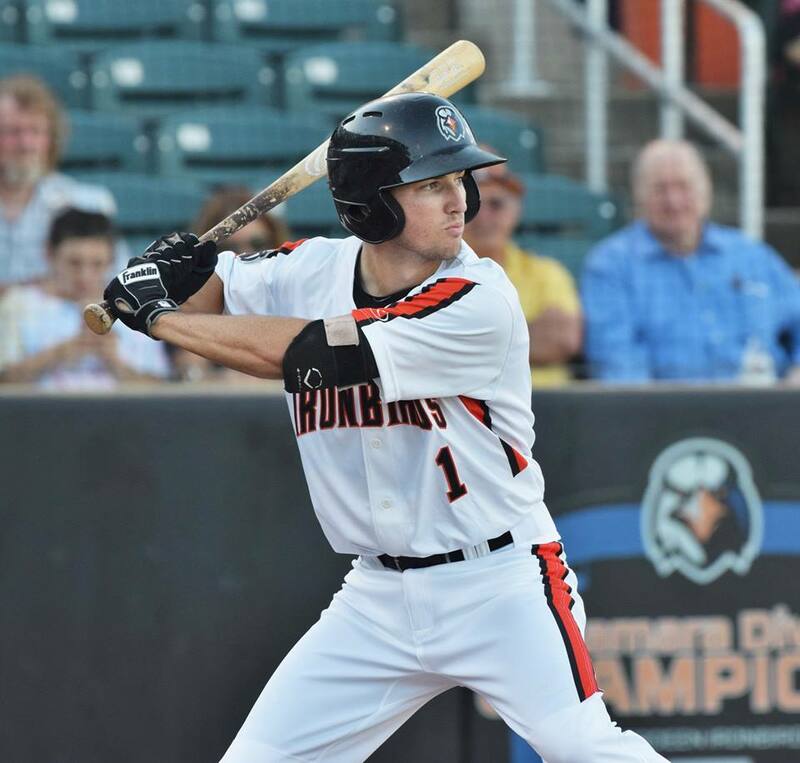 Willy Yahn got two early RBIs for the IronBirds in the game. He started in the first with an RBI single to score J.C. Escarra who singled himself. In the top of the second Junior Soto and Jesus Bastidas had back to back singles. Miguel Flames smoked a double to right center to score both of them and make it 2-1 Yankees. With Hall on base in the bottom of the second, J.C. Escarra dropped a single into center and scored him. Yahn got his second RBI with a bases loaded walk to score Escarra and give the 'Birds a 3-2 lead. With Staten Island's starter touching 98 MPH with his fastball, Nick Horvath turned on one and blasted a homer over the left field wall. It was his first as a pro and made the score 4-2 'Birds. Hall bumped an RBI single to center field in the fifth that scored Robbie Thorburn on his second walk. In the 8th inning, Staten Island got two hits off of Ryan Conroy to score a run on an RBI groundout by Bastidas that made it 5-3. Aberdeen would cruise from there to the finish line and get to one game back of .500.